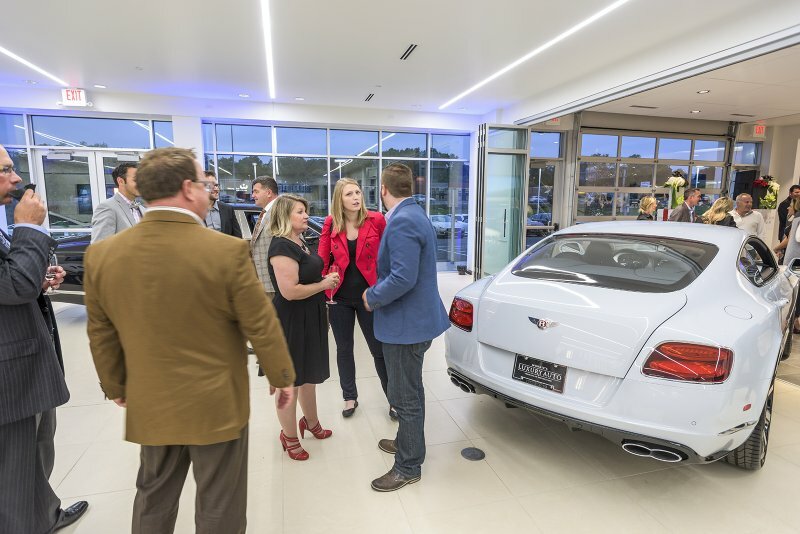 With much build-up and anticipation, we are excited to announce the grand opening of the new Morrie’s Luxury Auto store at 7300 Wayzata Blvd in Golden Valley. 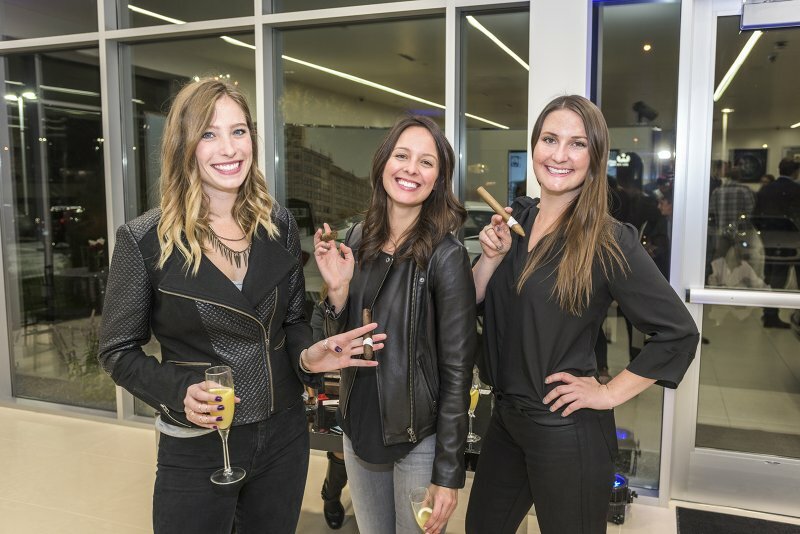 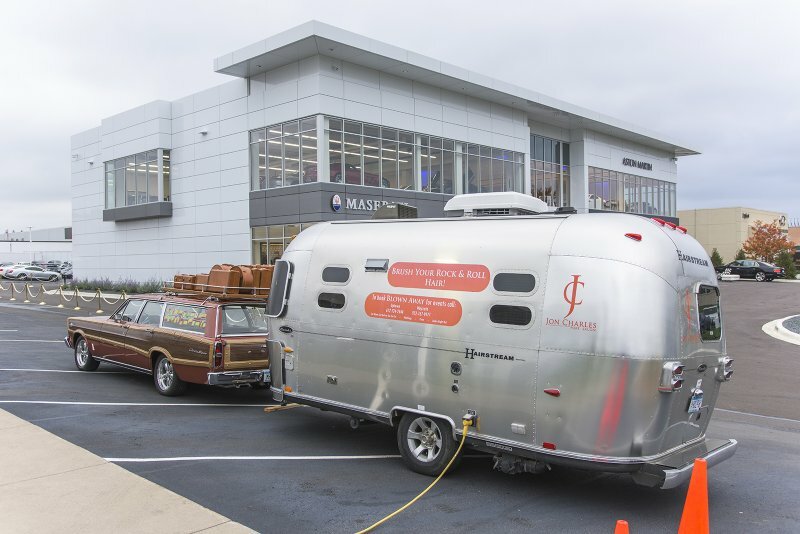 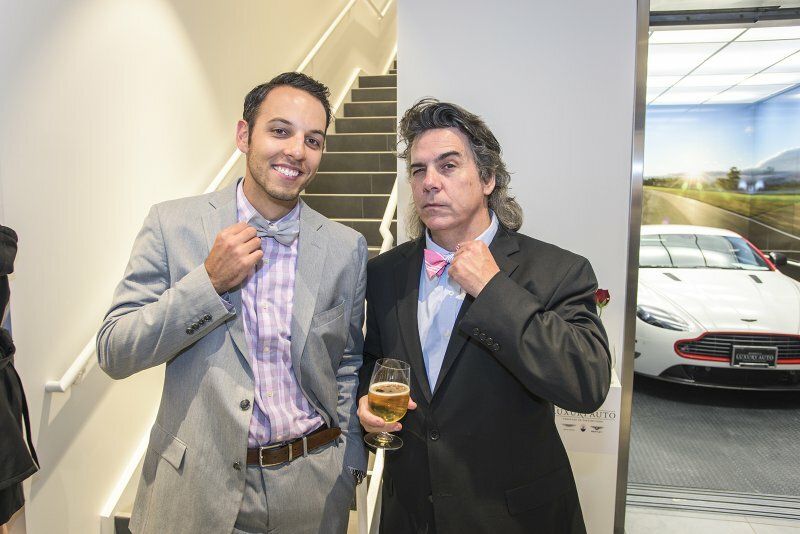 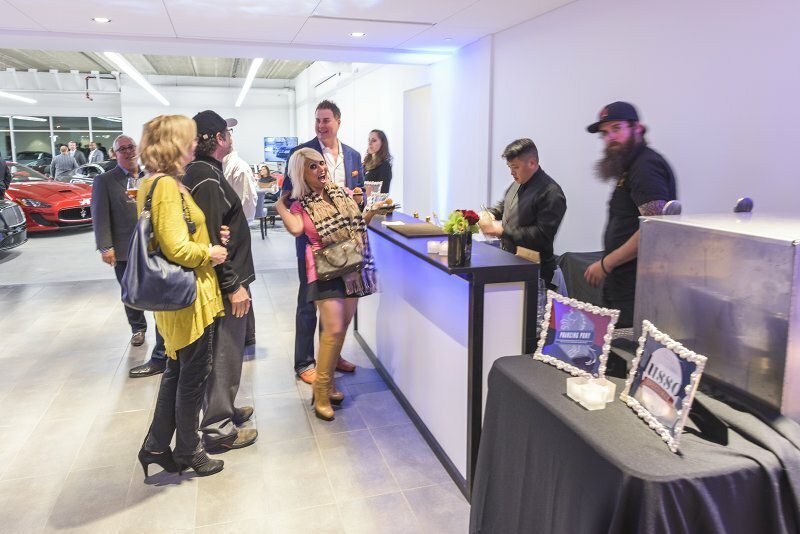 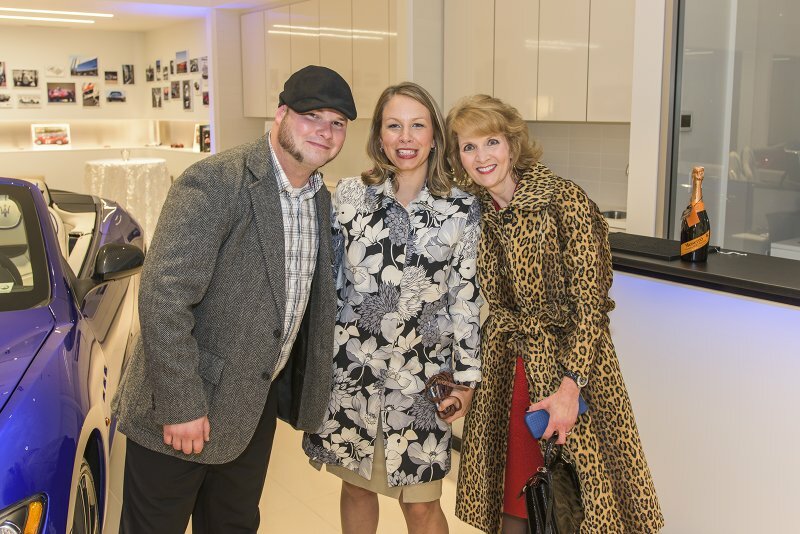 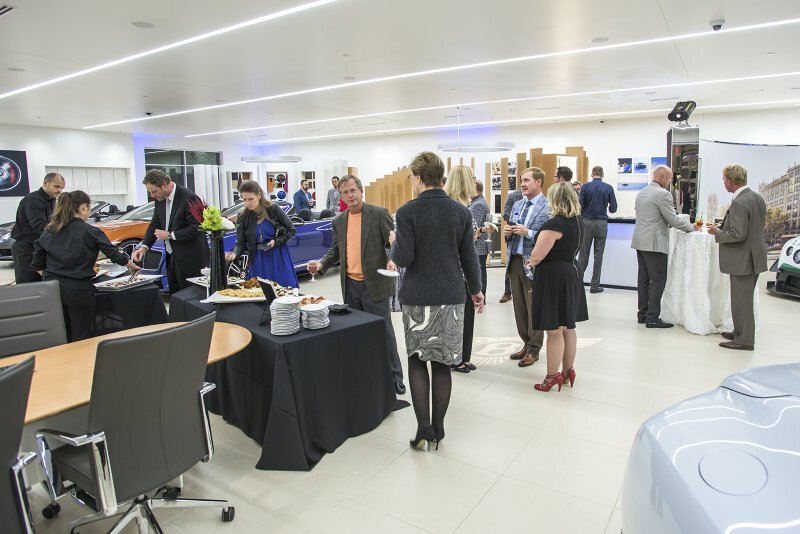 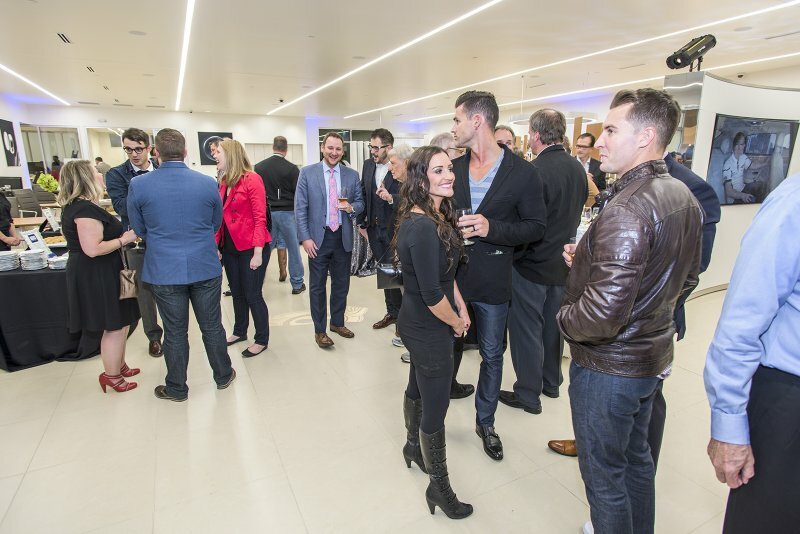 To celebrate the occasion, we welcomed 300 of our clients, friends and neighbors to our new location with food, drinks, music and a ribbon-cutting ceremony. 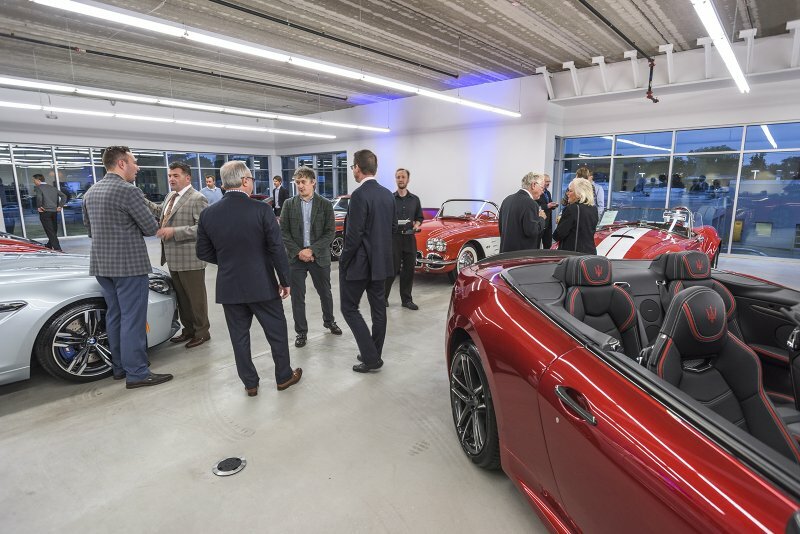 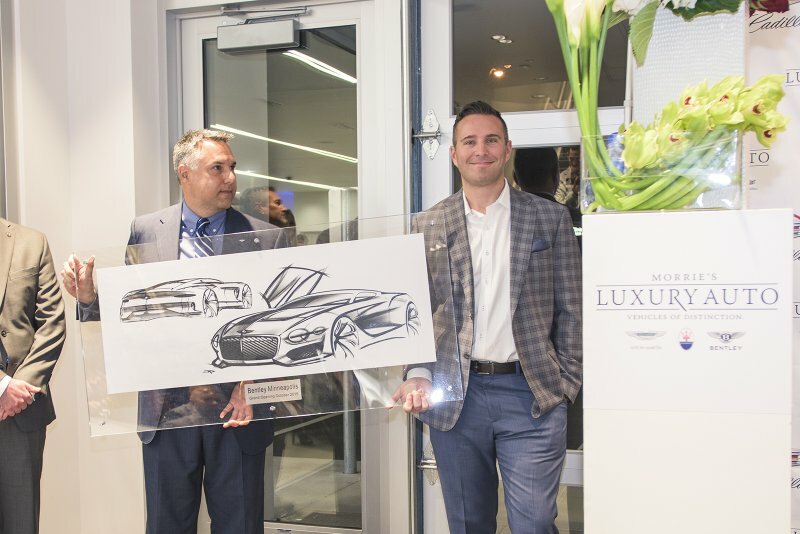 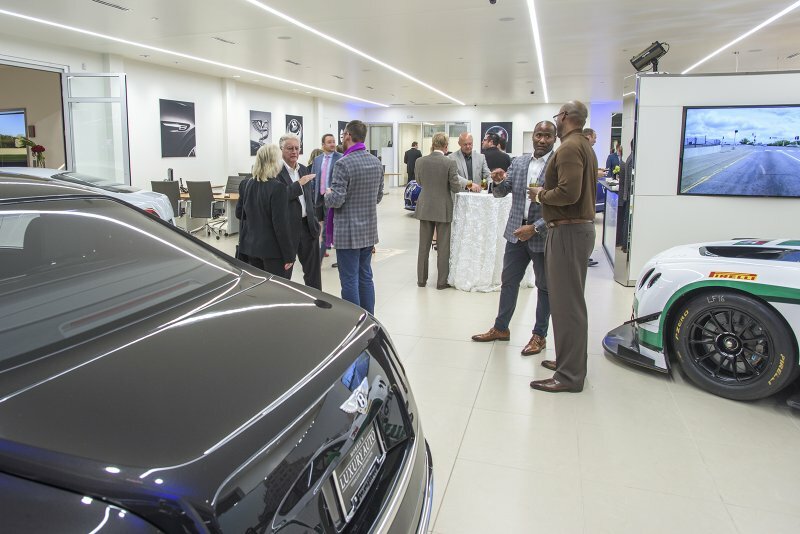 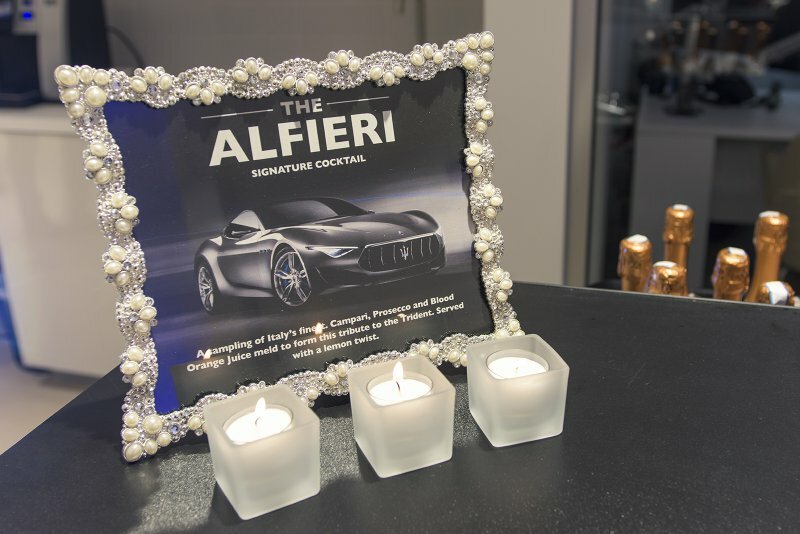 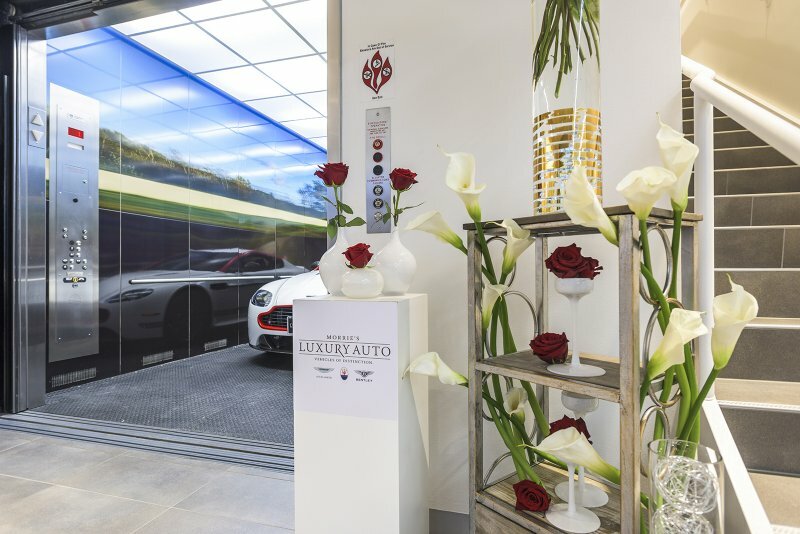 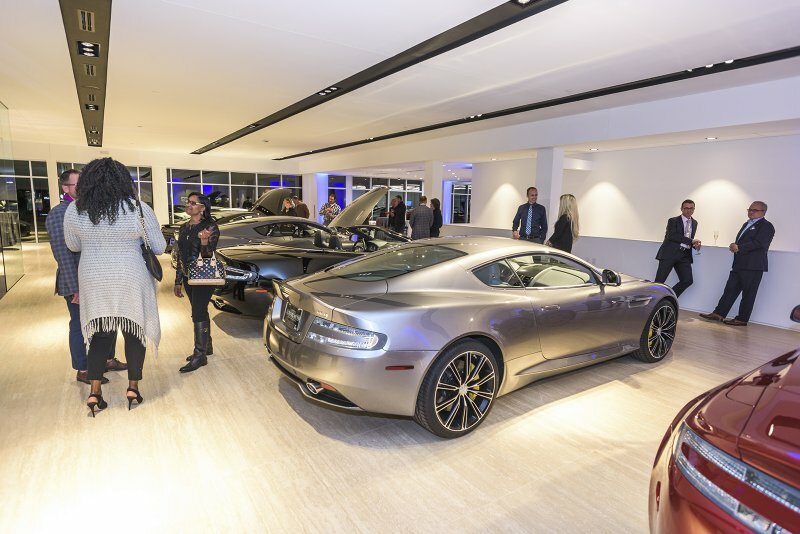 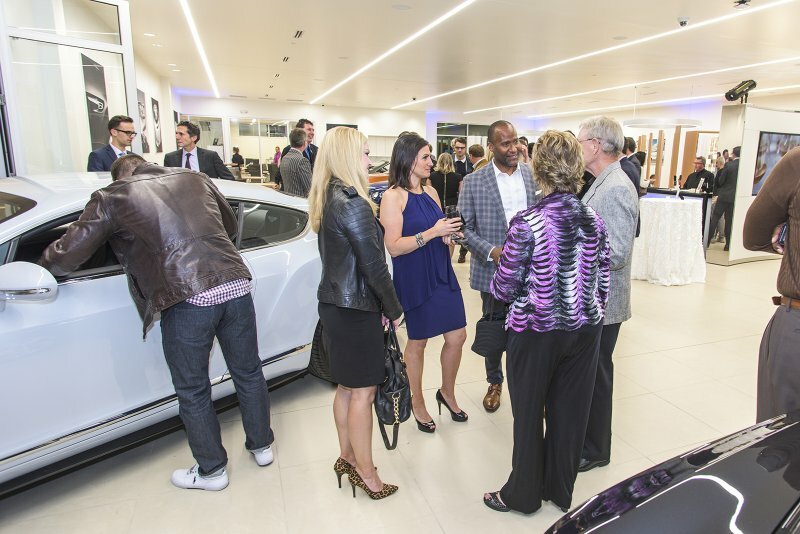 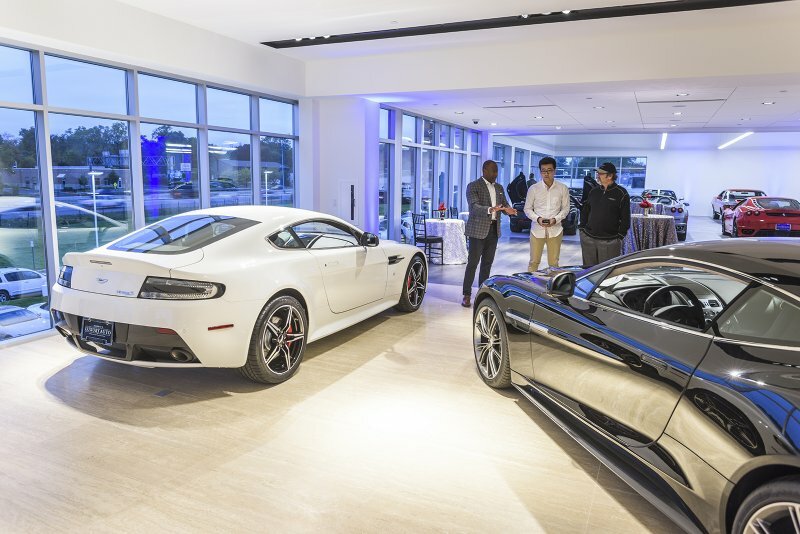 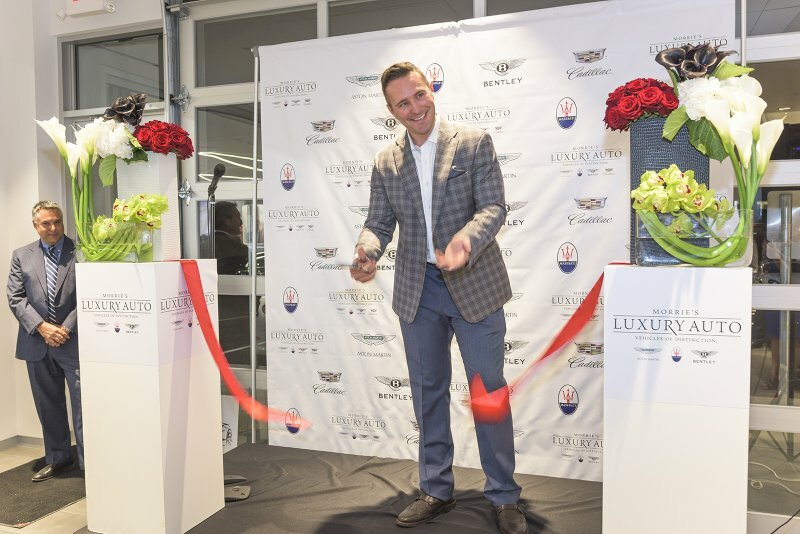 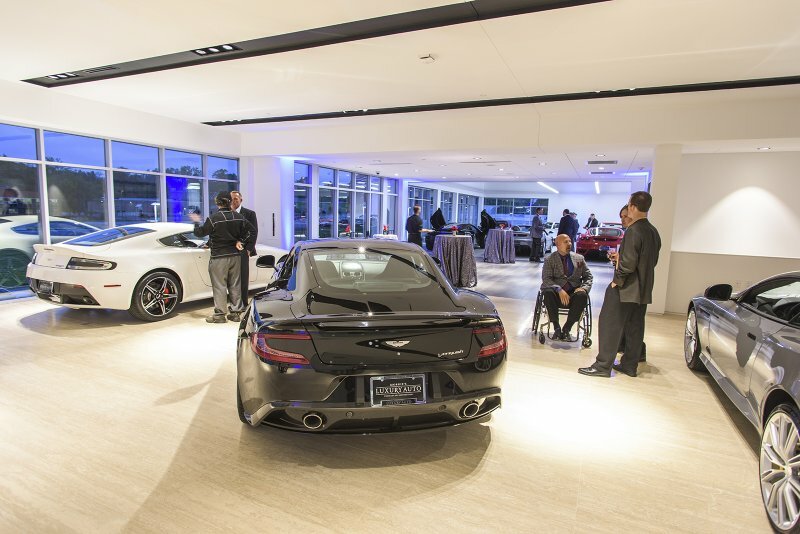 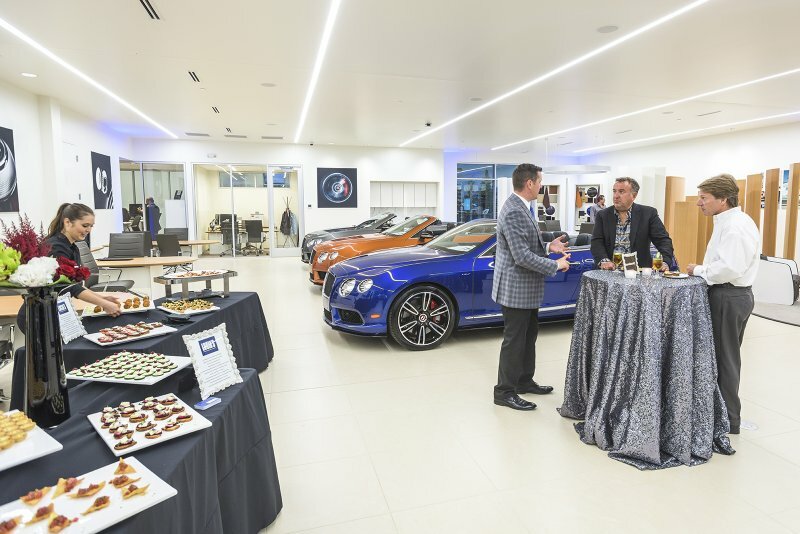 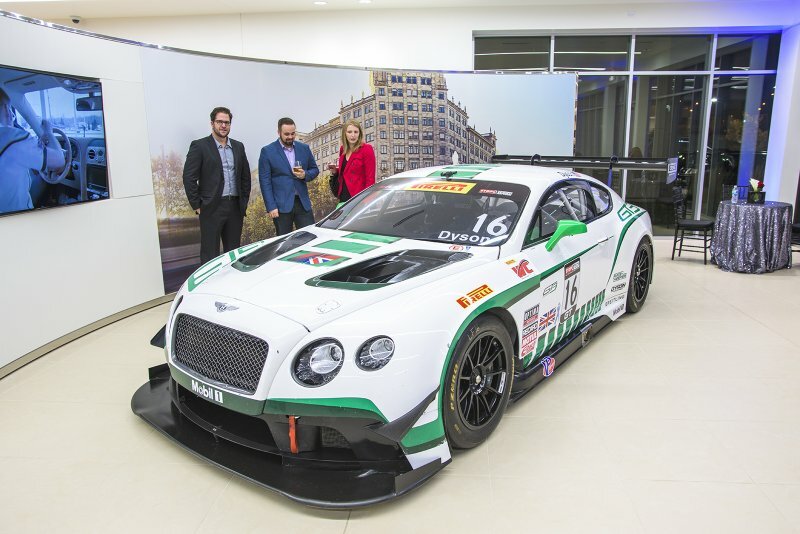 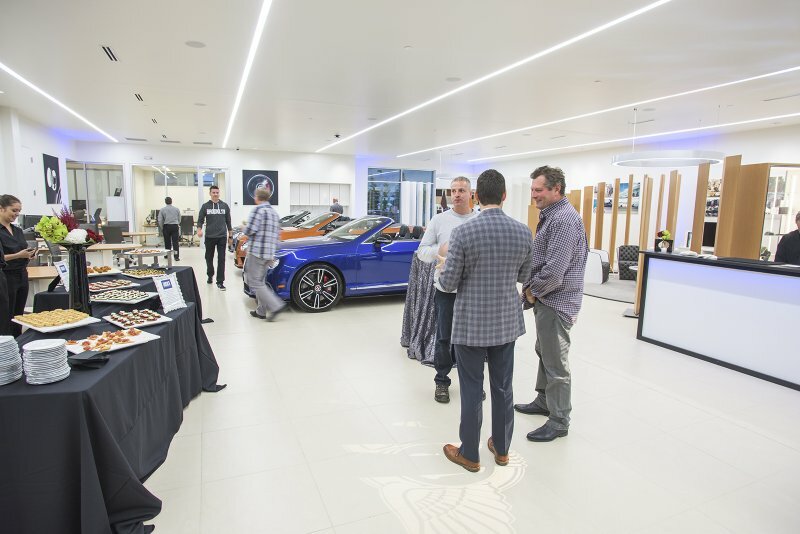 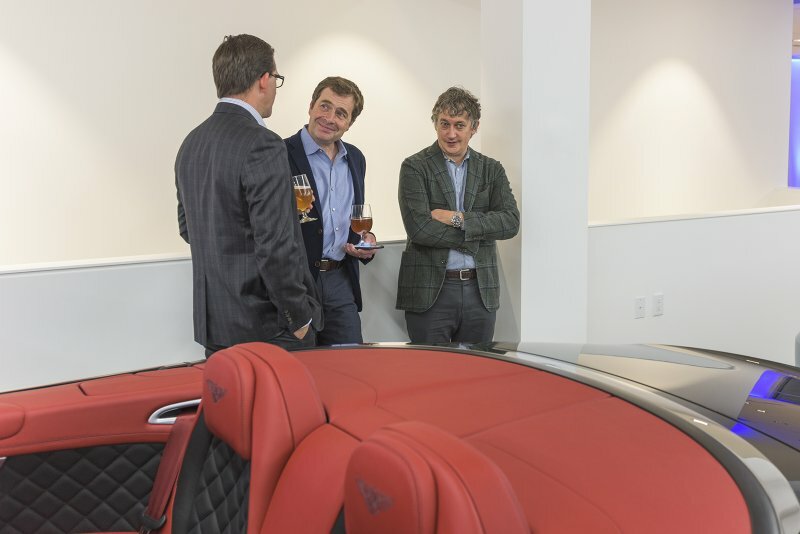 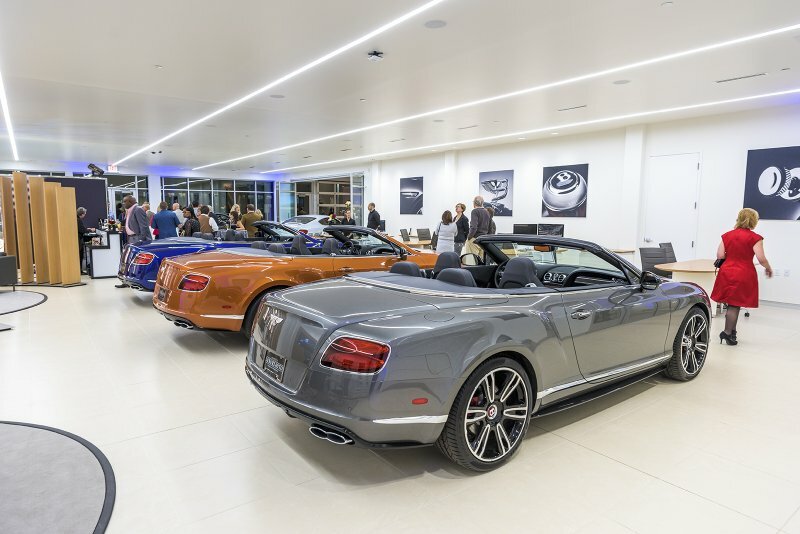 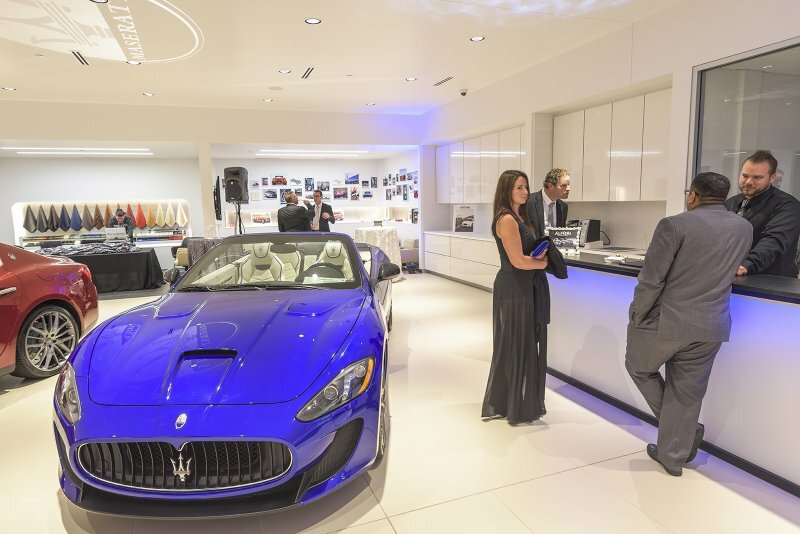 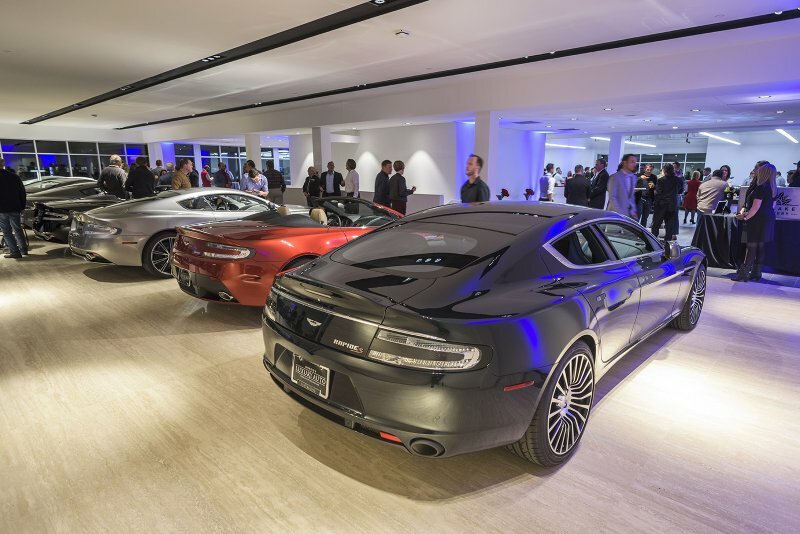 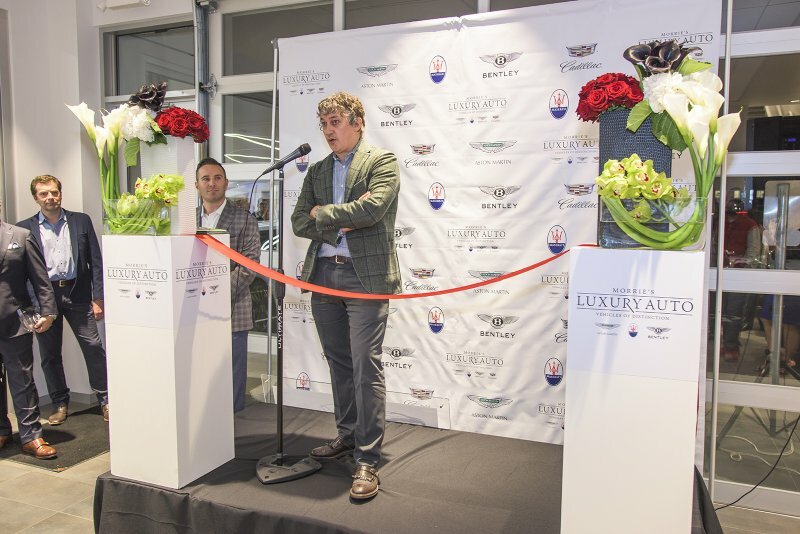 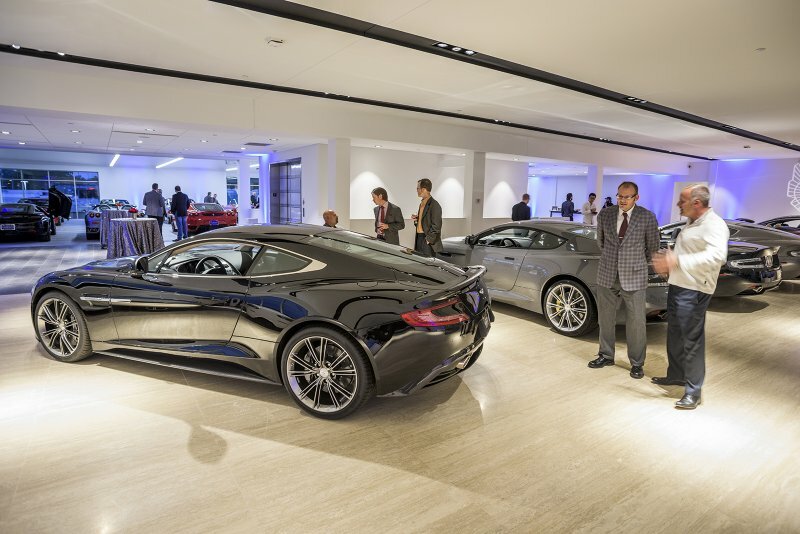 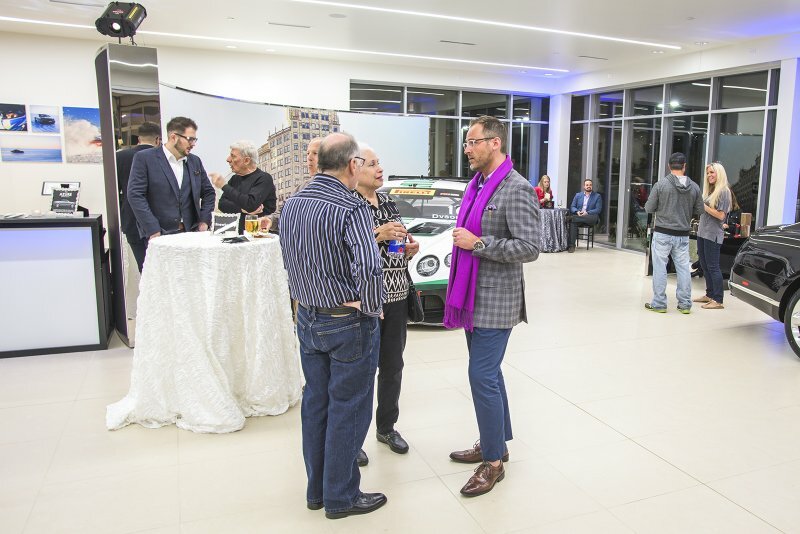 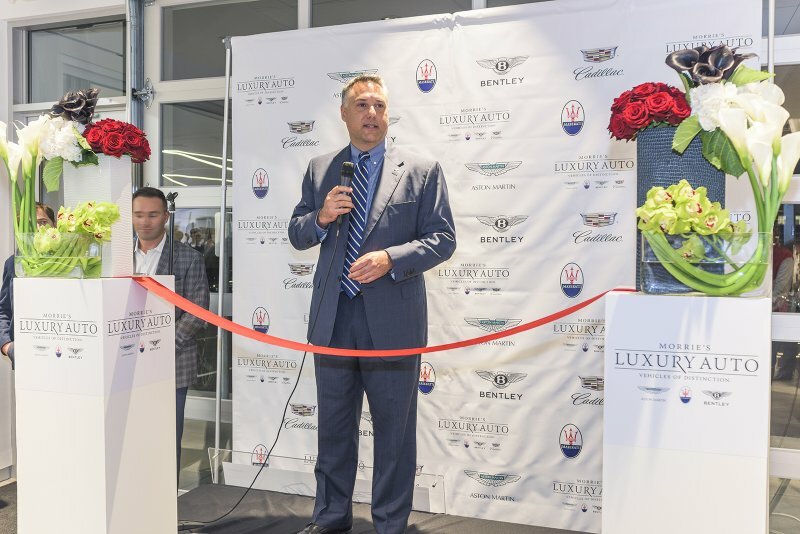 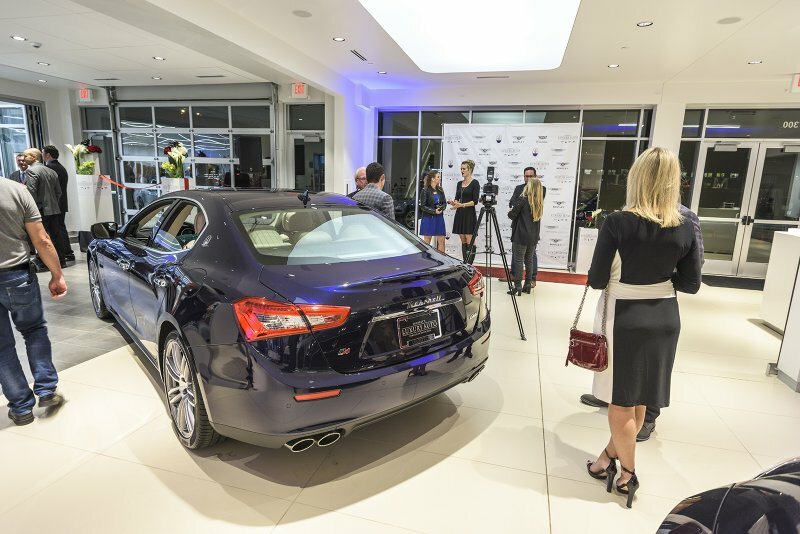 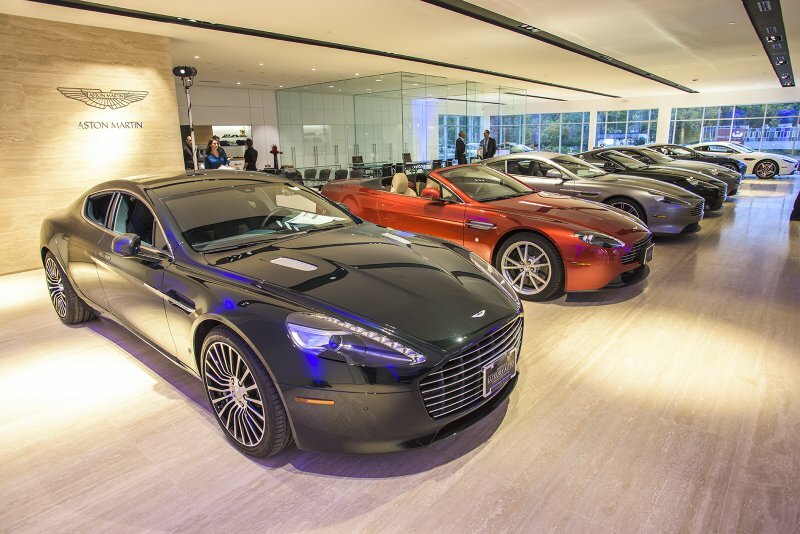 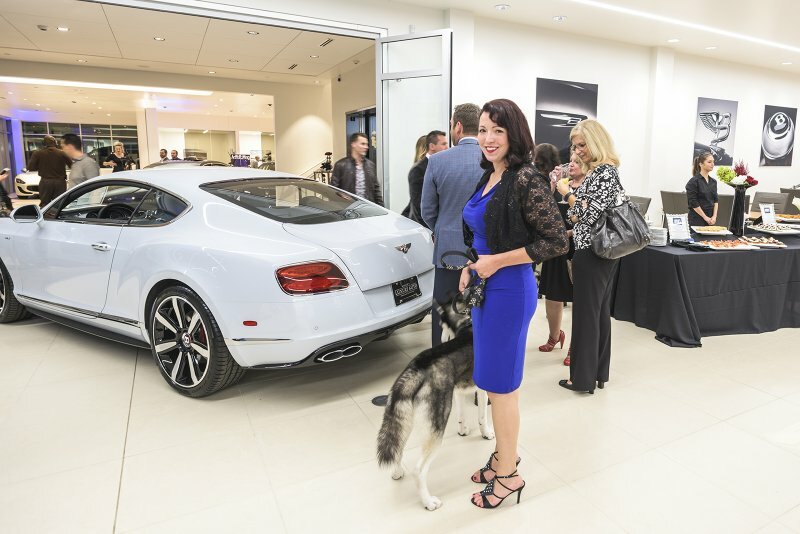 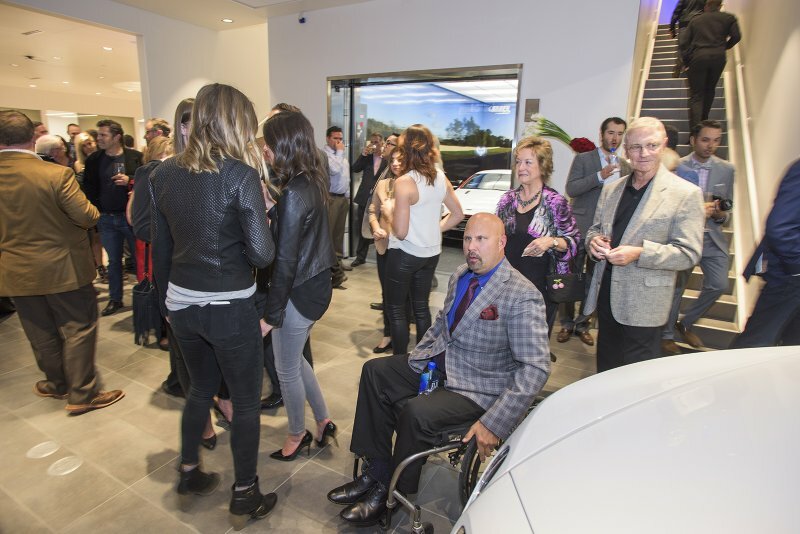 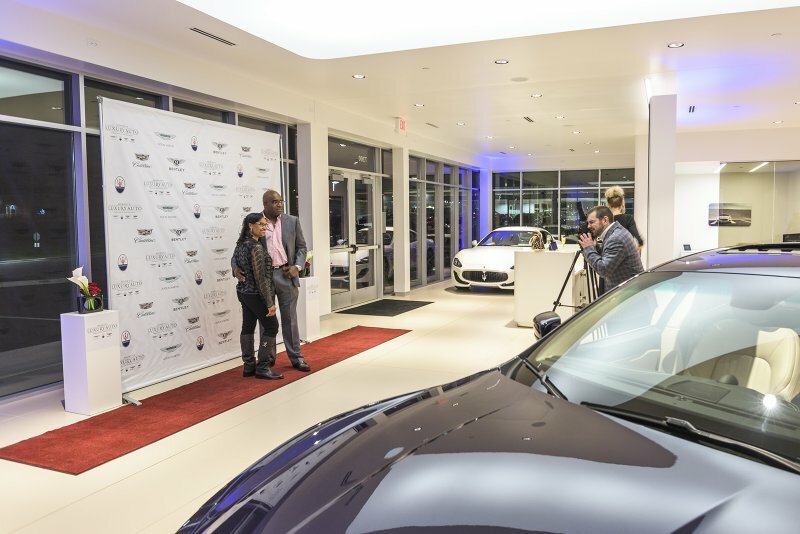 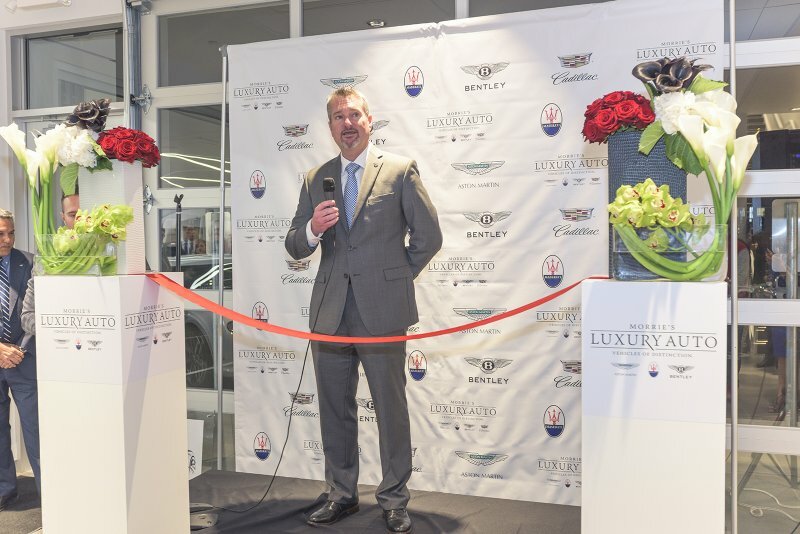 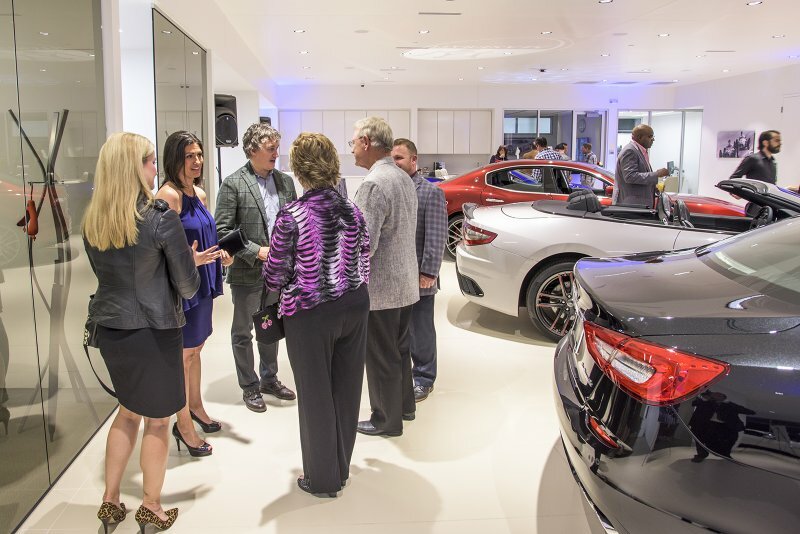 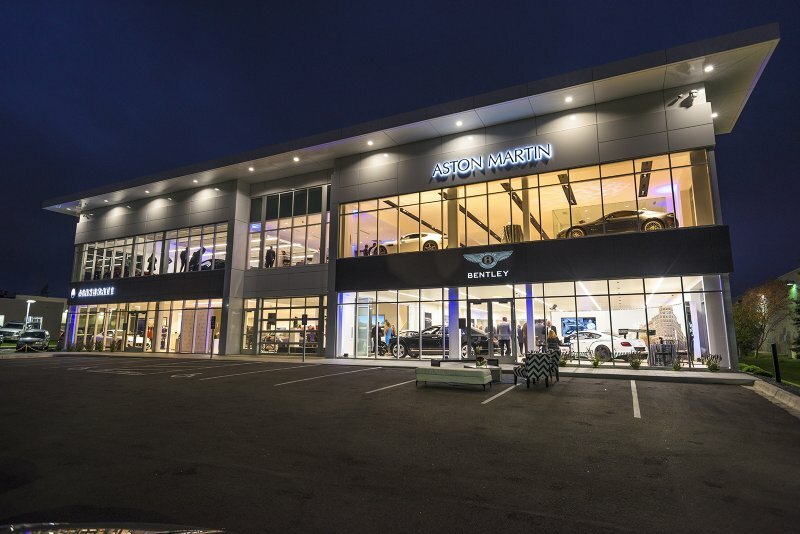 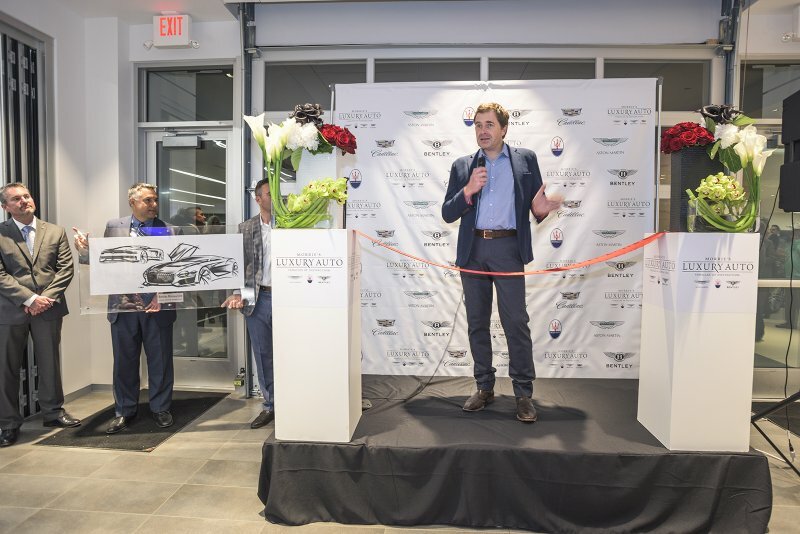 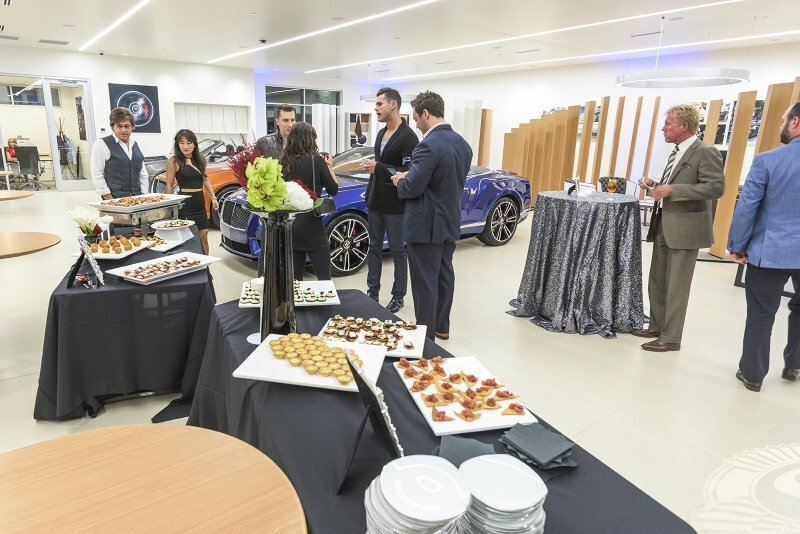 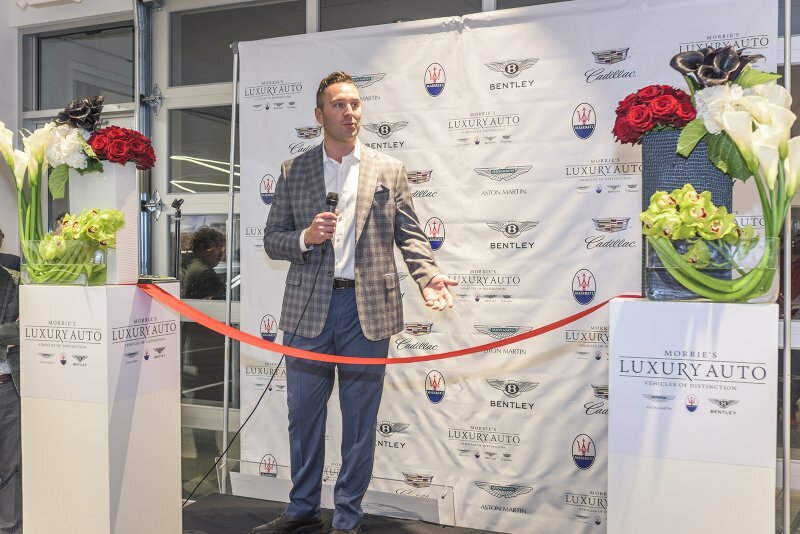 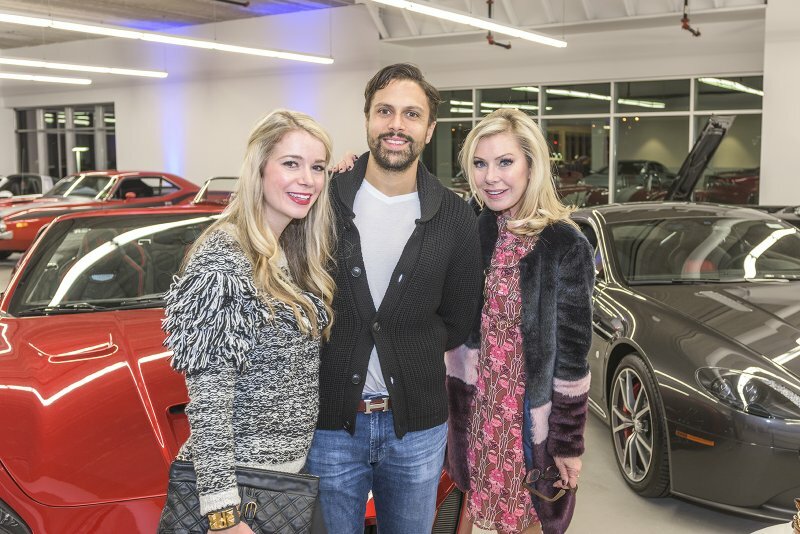 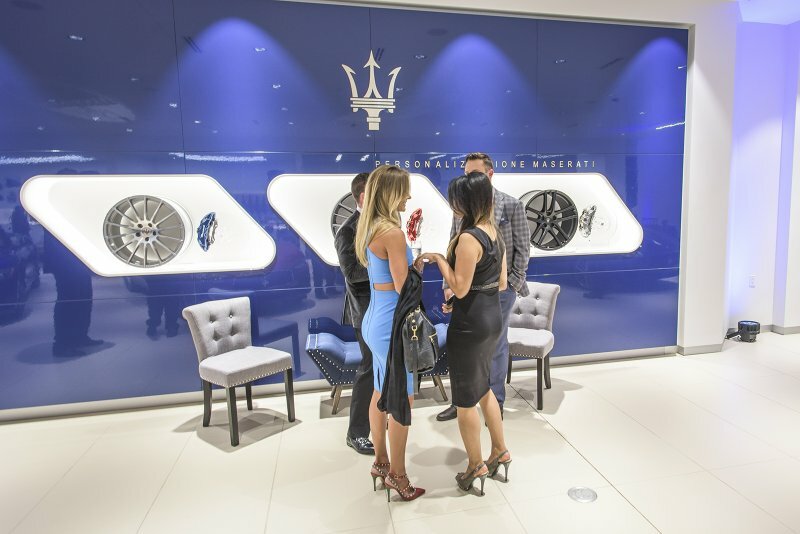 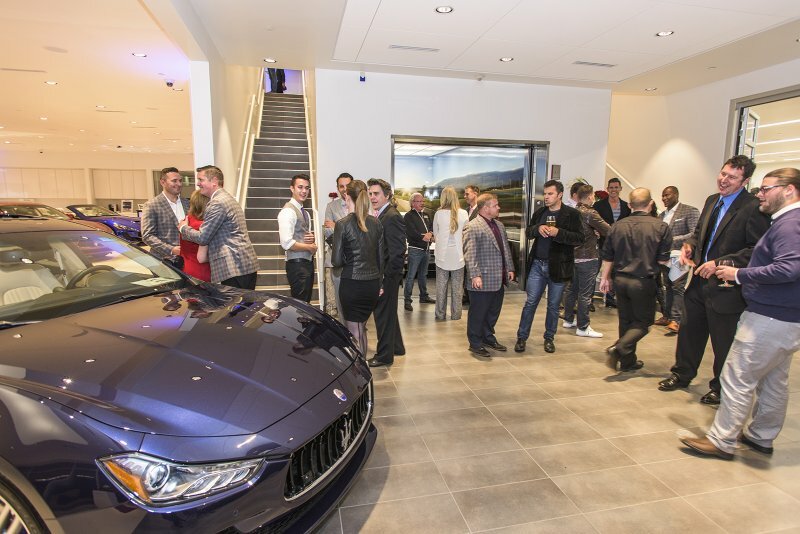 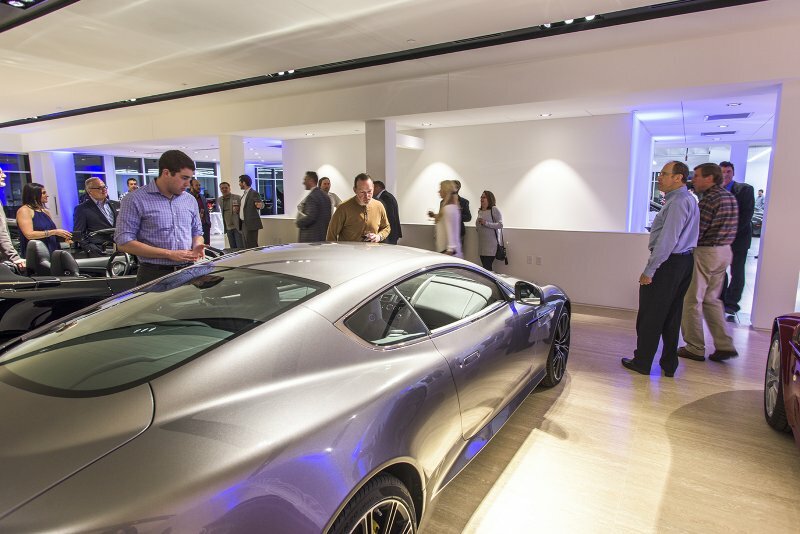 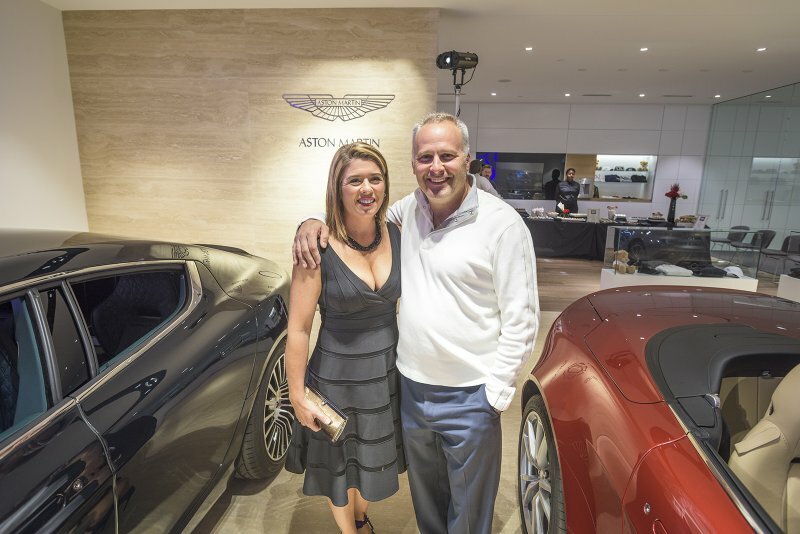 We rolled out the red carpet for our guests and also had representatives from Aston Martin, Bentley, and Maserati to check out our new store. 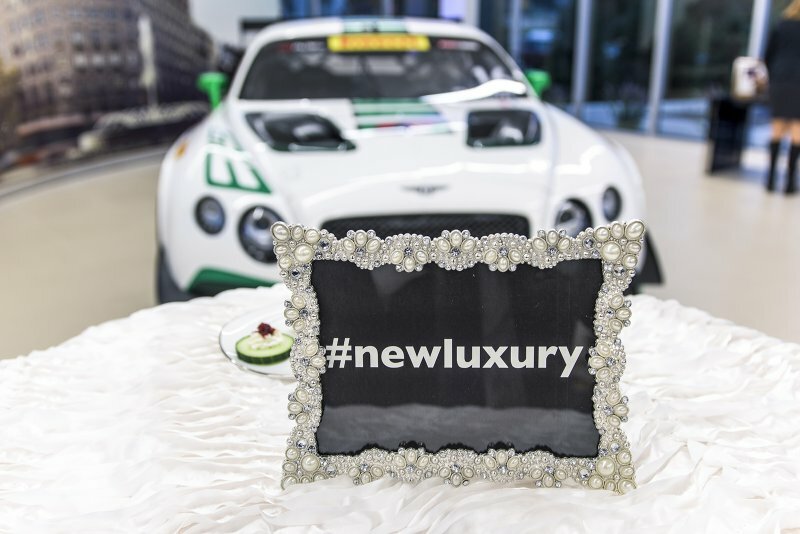 Highlights from the event included the Hairstream trailer (where we had two hair stylists from Jon Charles Pure Salon on hand), a cigar lounge with hand-rolled cigars, 3 signature cocktails (the “Alfieri”, the “Azure”, and the “Vulcan”), as well as Chris Dyson’s actual Bentley GT3-R race car from the Pirelli World Challenge that we saw win at Road America this summer. 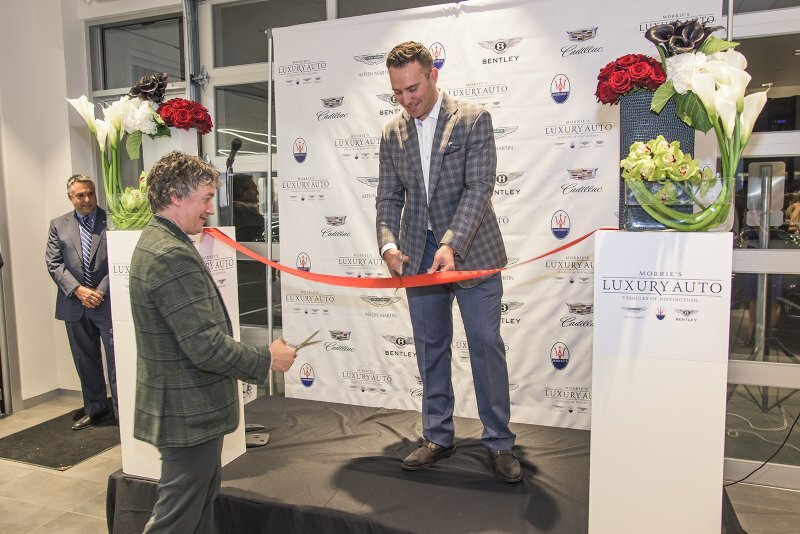 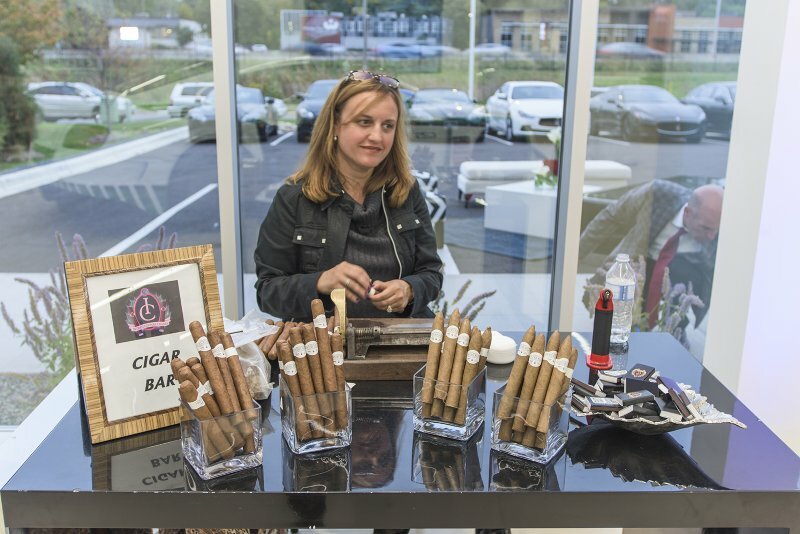 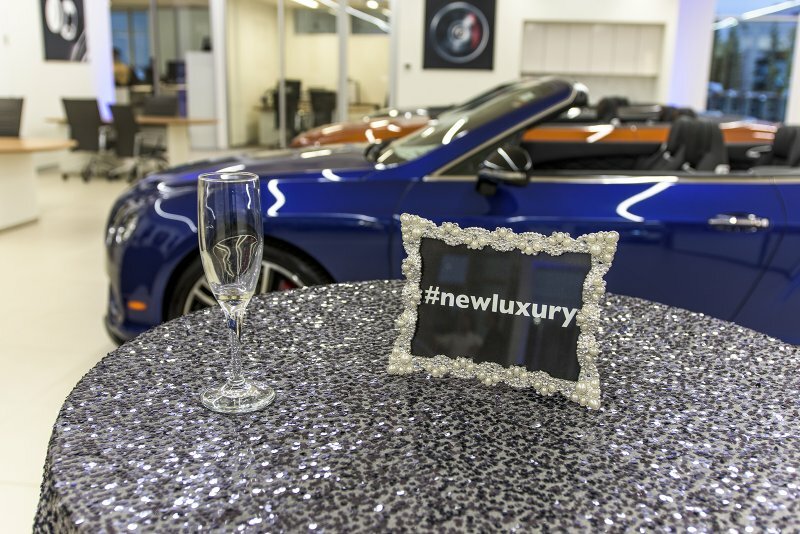 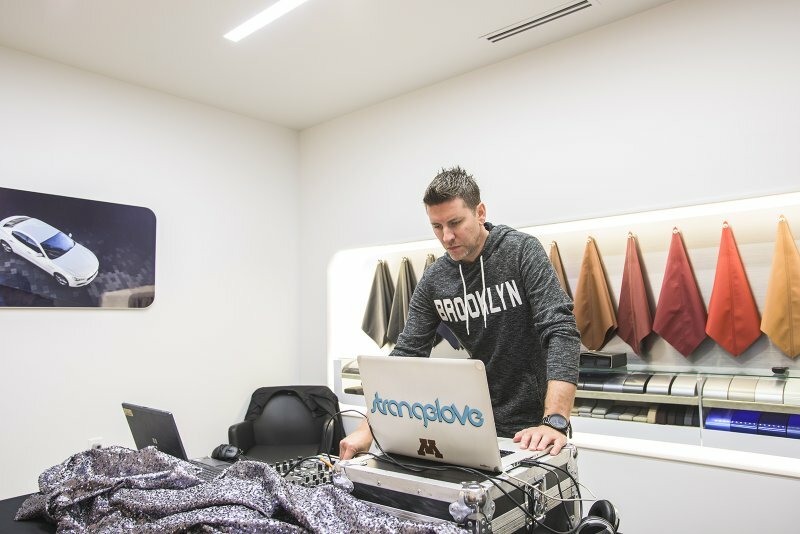 This new location in Golden Valley has been in the works for almost 5 years, and we’re thrilled to have the new Luxury Autos store sitting alongside our Cadillac building. 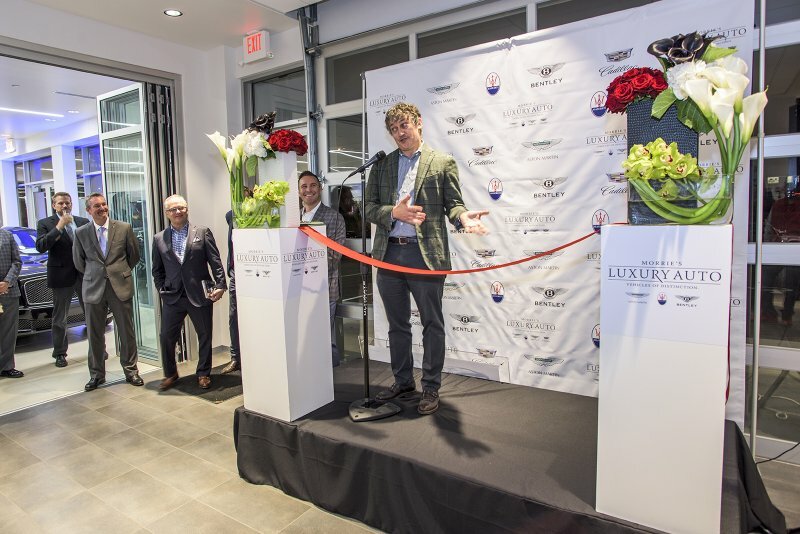 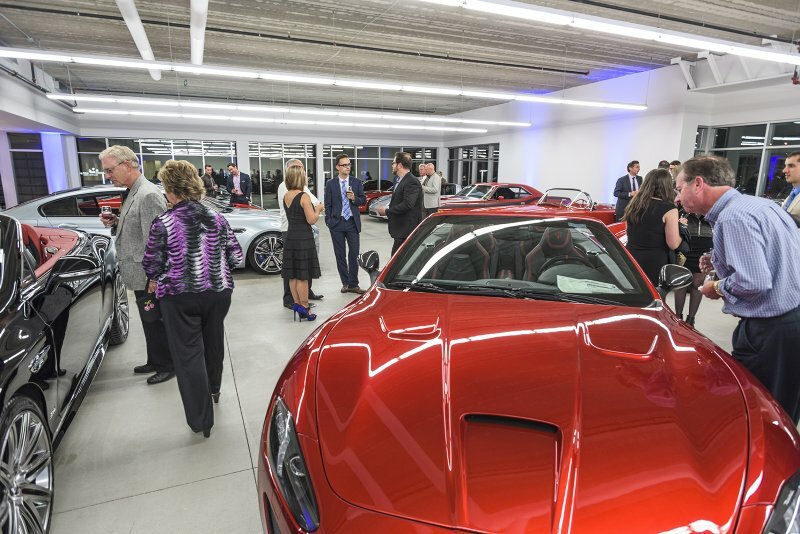 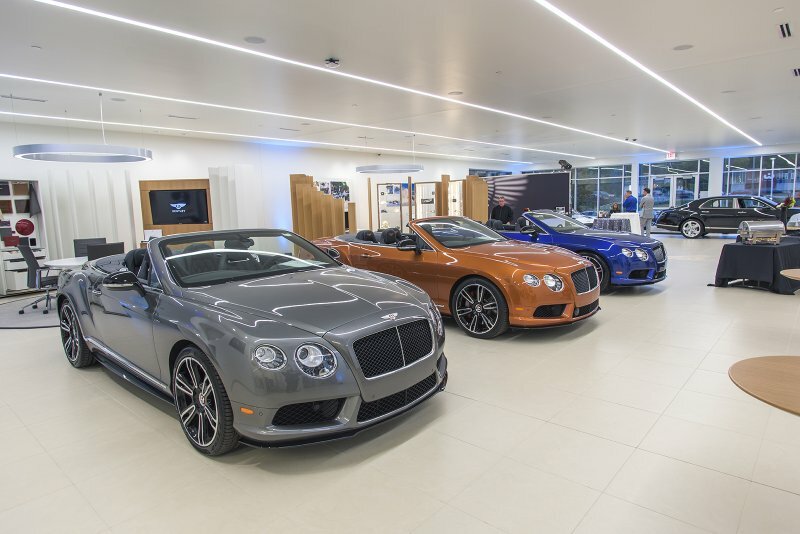 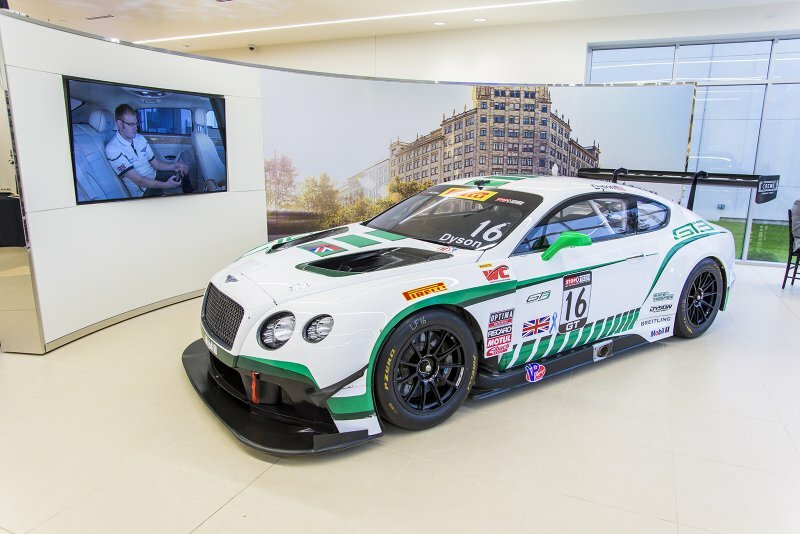 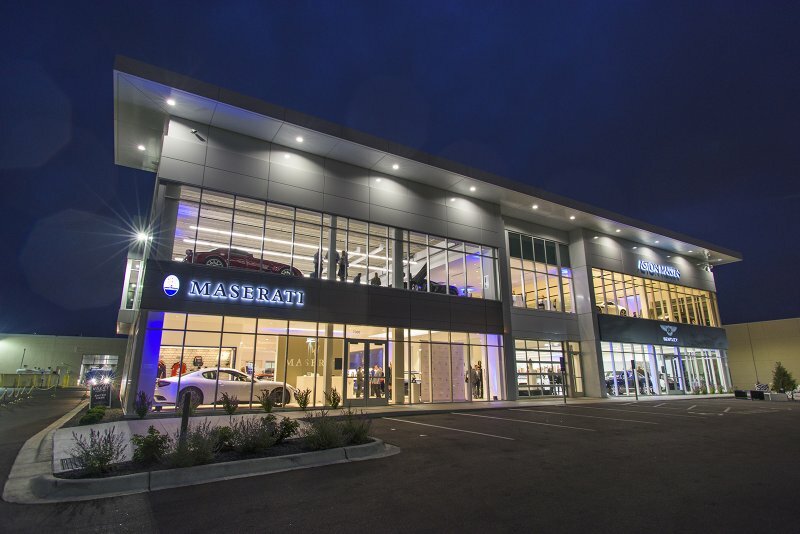 The new building offers 3 distinct show floors to showcase Maserati, Bentley, and Aston Martin and we have the largest elevator in the Midwest to move vehicles up to the 2nd floor. 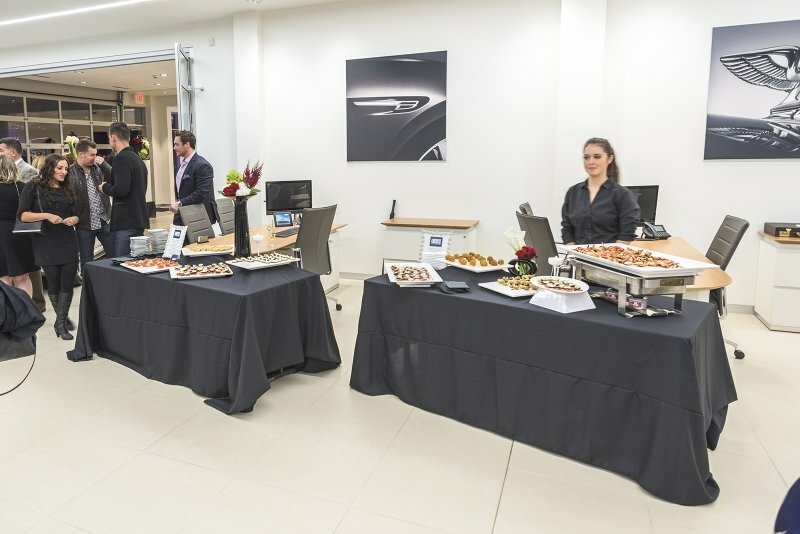 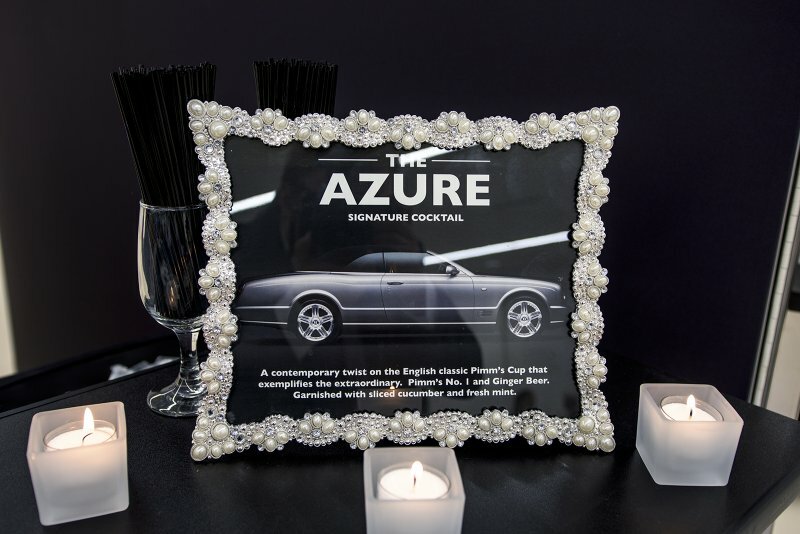 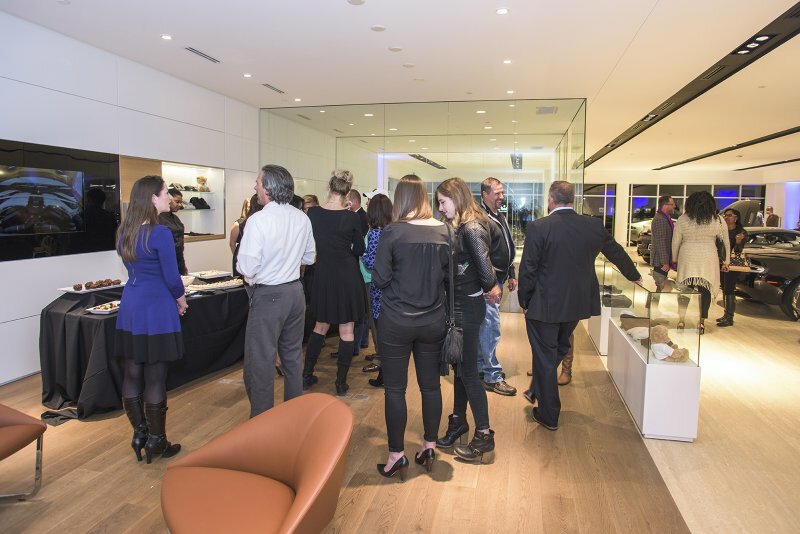 Our event was a wild success but we couldn’t have done any of this without the support of our customers. 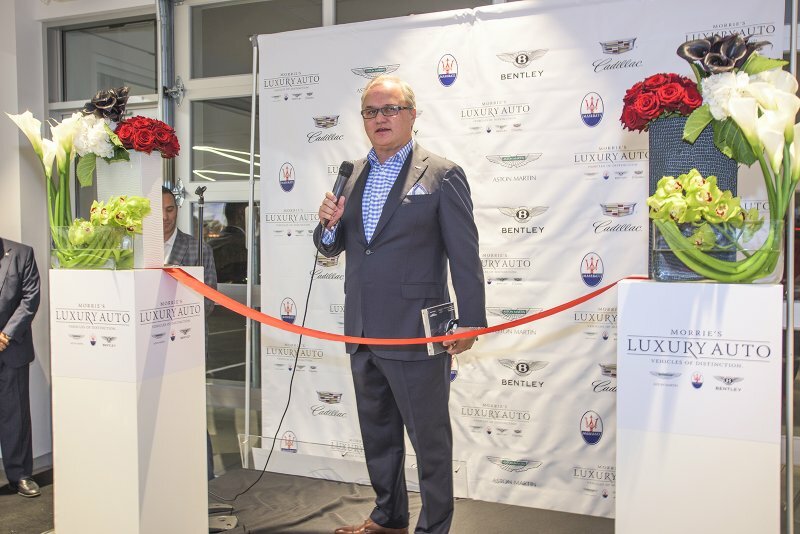 Thank all of you who have supported us over the years as we strive to provide the ultimate in luxury experiences in Minneapolis. 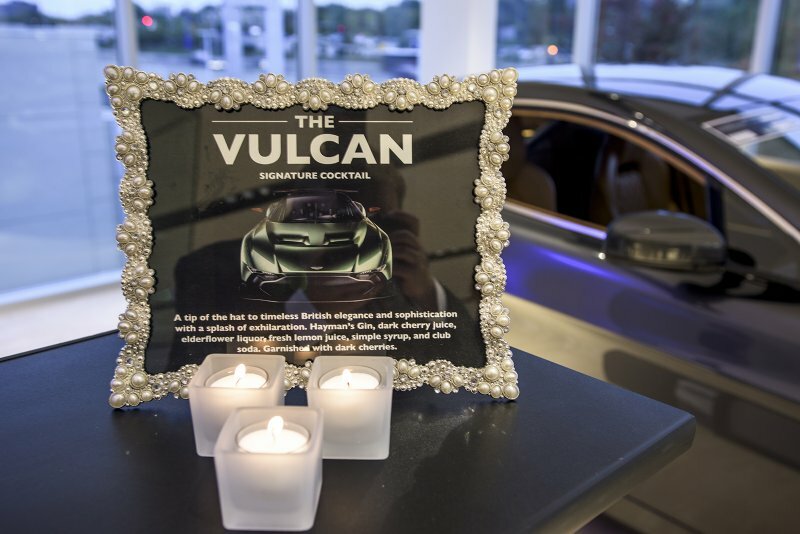 Keep an eye on our Instagram for more photos from the event.